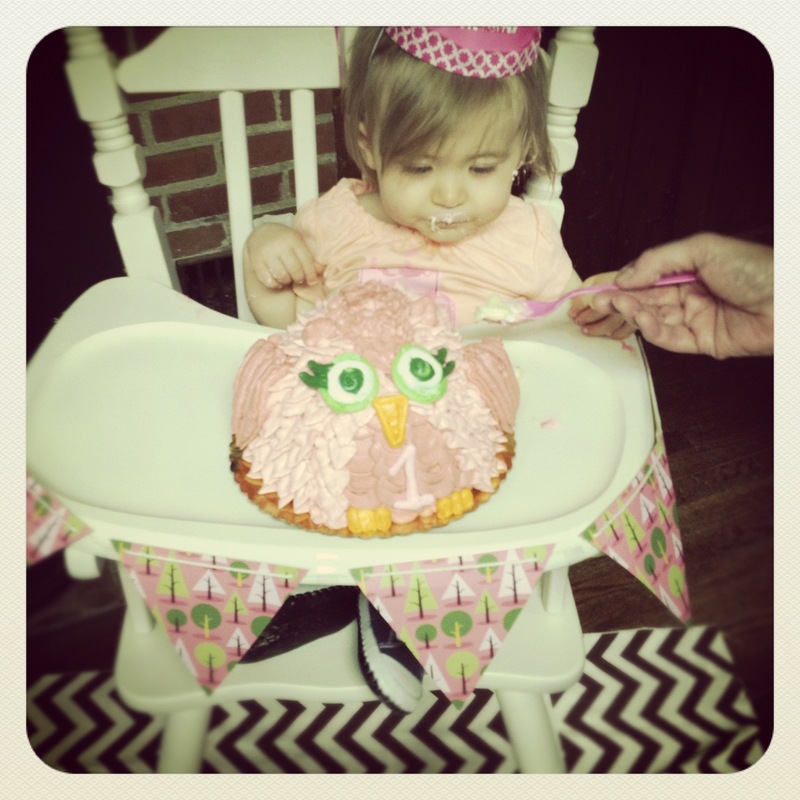 Feature Event Friday – Owl Theme 1st Birthday Party | whyallthefuss? I wanted to share some photos of my daughter’s first birthday party, now that she is almost going to be two (better late than never I suppose ;). We live in Portland, OR and most of my family lives in Central PA, so we decided to hold the party in my home state. Planning a party on the other side of the country can be challenging, but I assure you it can be done! The first step was to conceptualize the theme and this was easy for me, I think it took me oh a whole two seconds! Let’s be honest, first birthday parties are more for us than our children, so I decided I wanted to have an owl theme. And it turned out amazingly gorgeous. We rented out the Shaffer Park Cabin through Carlisle Parks and Recreation and made the most of it with our decorations! The setting was quite rustic, and not the cute kind of rustic, so we had to add some flair! Her High Chair was one of my most favorite parts! We found a a vintage wooden chair on Craigslist and spray painted it white! It turned out awesome! The banner on the front was made from left over invites I had, which came from the Hoot Owl Section on Plush Paper Designs sold on Zazzle. I made Milly’s party hat with one of the basic hats we had for the other kids, but I added a bit of flair. I used left over fabric around the base and cardstock paper to create the number one. The chevron fabric (which was purchased from Fabric Depot in Portland, OR) under the chair was extra scraps I had at my house from an upholstery project. This was perfect for catching the cake that didn’t quite make into her mouth. 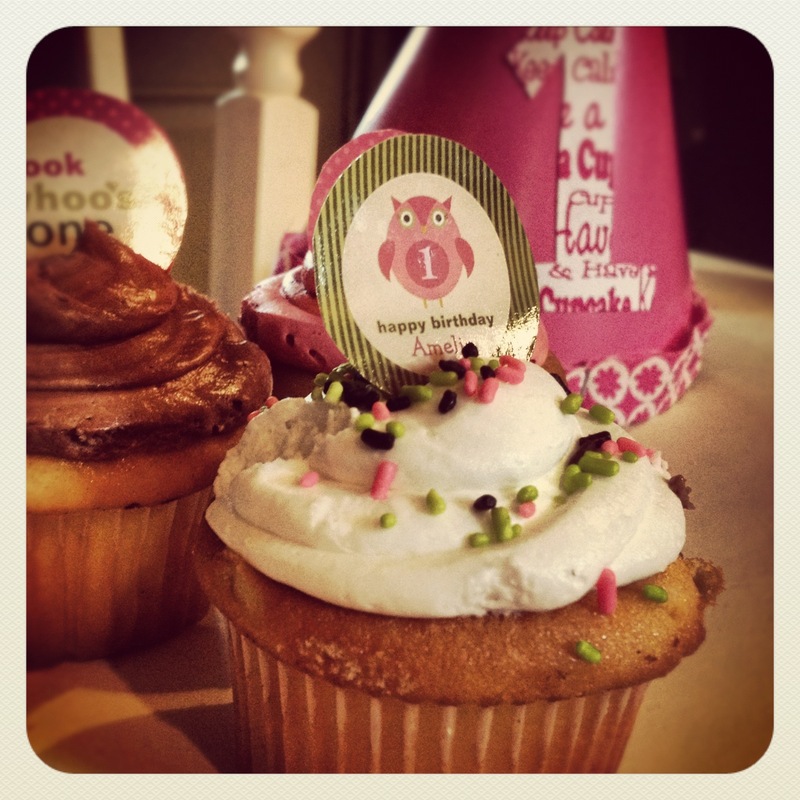 The cupcakes and Owl Smash Cake came from a local bakery in Camp Hill, PA called the Pennsylvania Bakery. These items were seriously the hit of the party! 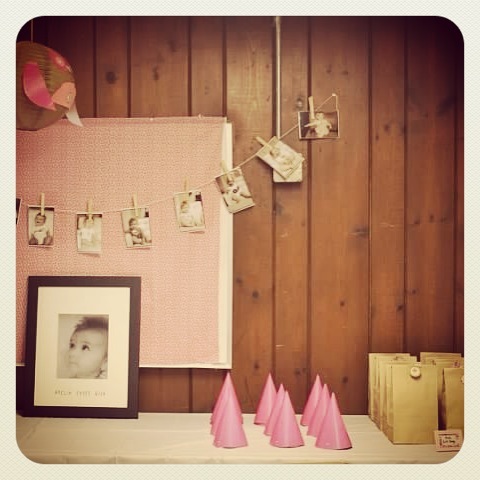 We simply gave her an image of our invites and she produced the most amazing deserts ever! They were as tasty as they were cute! The cupcake tags came from the same Zazzle store as our invites. 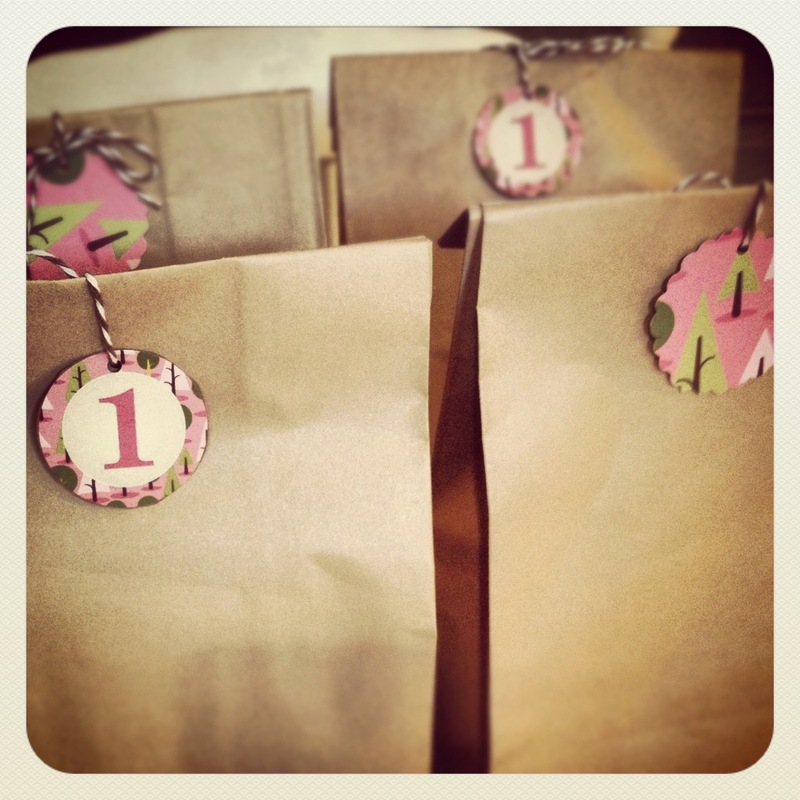 Our favor bags were made from basic lunch bags and the matching tags were used. We filled the goody bags with bubbles, side walk chalk and stickers for the kids. 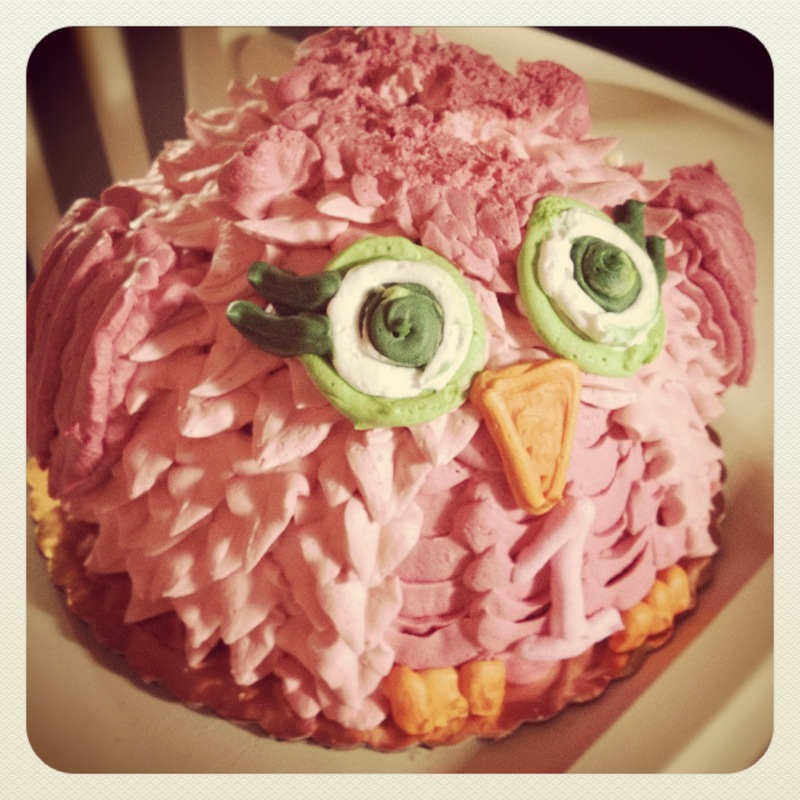 Hoo hoo… look at that owl cake! The entry way displayed a photo montage of Milly throughout her first year. It was so cute for her family to see snap shots of her growth throughout the year! 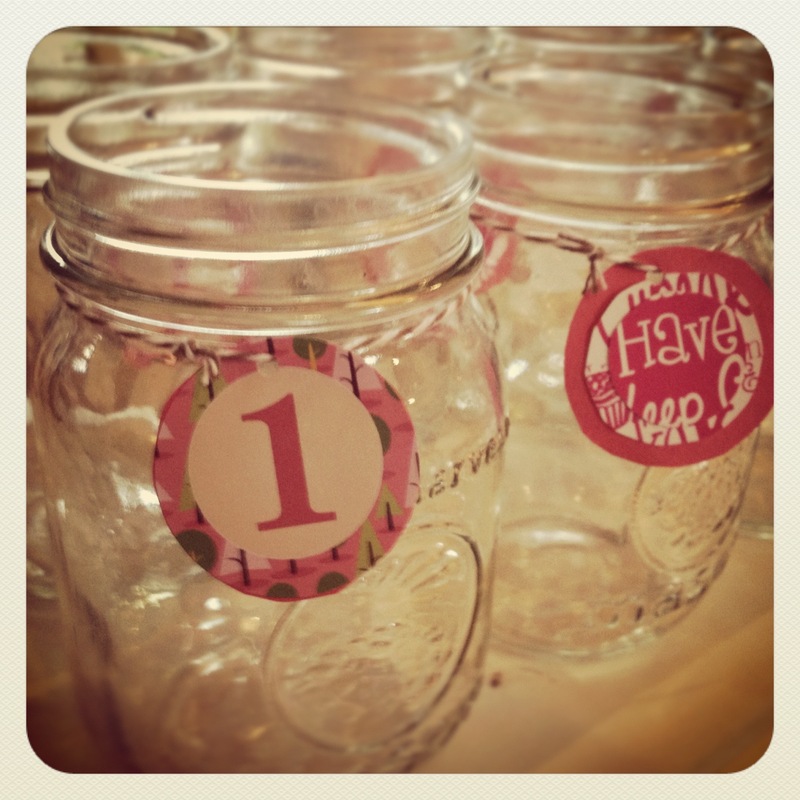 The party was such a blast to plan, organize and be a part of! Milly had such a great time meeting her relatives and celebrating her first year of life. 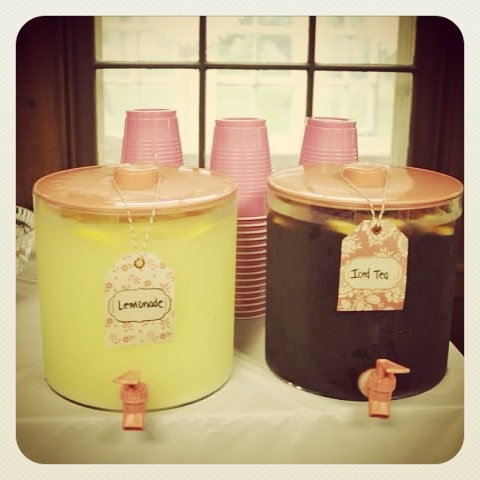 Food was devoured, lemonade was consumed, and lots of fun ensued! We chose to have the party on a tight budget and with lots of DIY crafts and I think it turned out pretty spectacular, so why all the fuss?!! This was a spectacular DIY EVENT!!! Loved it and that little precious girl of yours! !